The Scooter market has hit unseen levels of success in India and it's bound to keep growing. Honda who's been riding this wave the hardest has a new weapon in the Activa 125. The 125 has everything we've said the old Activa needed  some more power, telescopic forks and a disc brake. It clearly is the best Honda scooter on sale in India. 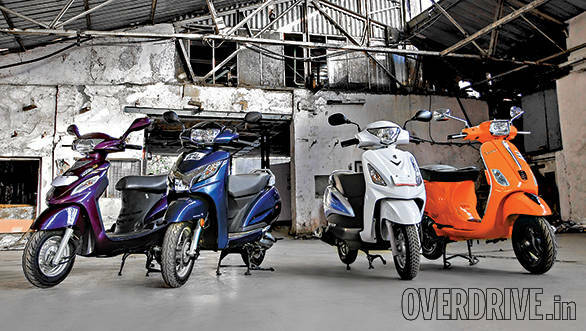 We're here to find out if it's the best scooter in a market with rivals like the super premium Vespa S, capable and reasonable Suzuki Swish and feature filled Mahindra Rodeo RZ. 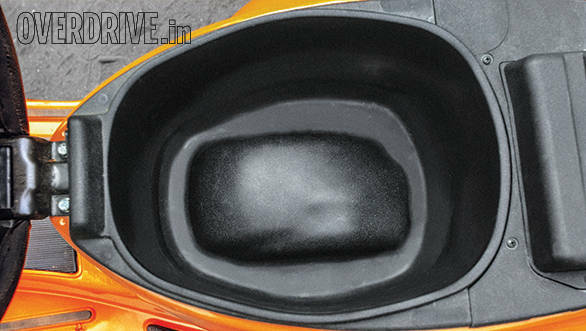 Judging by the responses on our Facebook page, a lot of you were disappointed with the Activa 125's design. As you rightly pointed out, there's quite a bit of the Hero Maestro in there, especially at the rear. However, it has to be said that while the Activa may not turn heads like an orange Vespa, it is a very pleasant machine to look at. Honda has given it some premium touches like chrome garnish around the parking lamps and some good looking metal foot pegs. This is also the first Activa with a digital element in the console that gives you fuel, odo and trip information. The one thing that looks out of place is the large grab rail at the rear. It's functional but doesn't gel with the rest of the design. 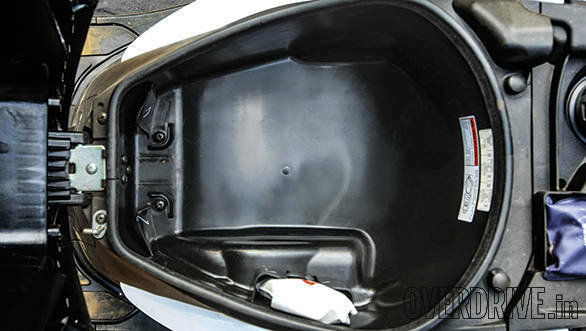 Build quality is typical of Honda India- very good but not quite perfect. The main stand tends to rattle over bumps and one of the plastic panels at the foot board was slightly out of place. It is nevertheless towards the top in terms of quality in this company. The Vespa on the other hand has received nothing but praise. And in this bright shade of 'Arnacio Taormina', or as we call it - Lambo orange, it is a thing of beauty. The flowing curves, sculpted seat, subtle details, chrome garnishing and abundance of general Italian flair make this a machine you can look at for hours with a constant smile on your face. 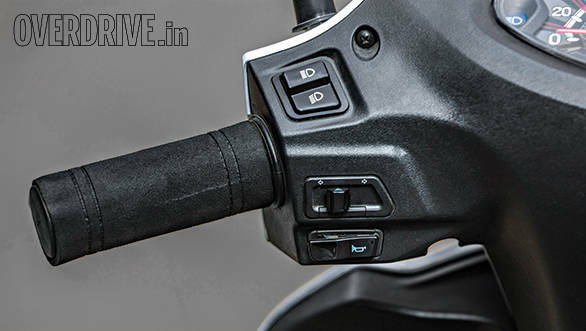 There are some wonderful touches like the alloy brake levers but also a few iffy areas like the flimsy switchgear. Unlike the Activa and Vespa, the Swish immediately feels more compact with narrower bars and a generally slimmer feeling body. The Swish you see here has had a slight refresh and gets new graphics and a revised centre console. Fit and finish levels are good and the seat is the firmest of the lot; ergo the most comfortable over long rides. The Swish feels well put together and is the only one here with a clasp for holding the brake lever down when parked on an incline. The Rodeo RZ is similar to the Swish in that it's a smart, but rather unremarkable looking scooter. 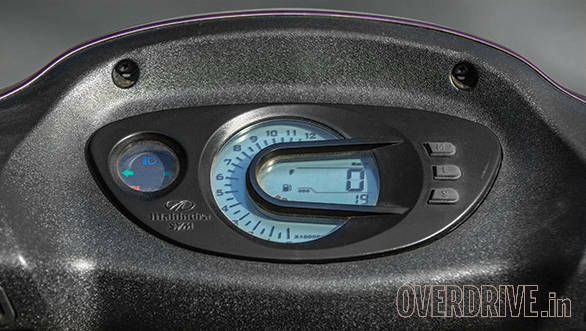 It has a huge list of features like an all digital display with seven different backlighting options and a rev counter. We can't really see the point of the latter, given that you can't exactly change gears to alter the engine's revs. 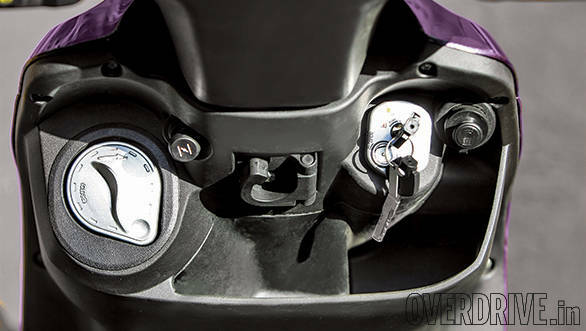 The Rodeo also has an external fuel filler cap, a 3V charging point and an illuminated boot. Features wise it's miles ahead but the Rodeo loses out in terms of build - in our experience, Mahindra scooters tend to age rather quickly. An increase of 0.6PS may not sound like a lot but the Activa 125 makes up more ground over its smaller sibling through a jump in torque from 8.7 to 10.1Nm. The engine feels and sounds the same but the performance has a new found unstressed feel. 0-60kmph takes 9.8s and the 125 hits 70kmph with the same ease that the 110 takes to hit 60kmph. 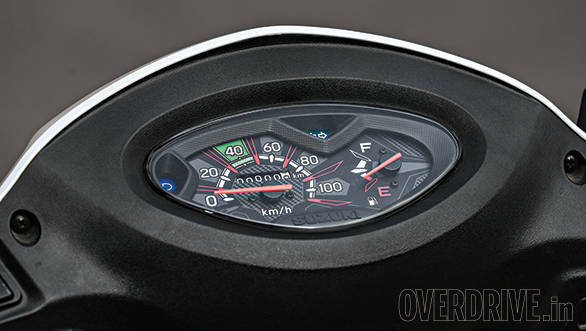 It also displays a higher 90kmph top speed on the clocks. 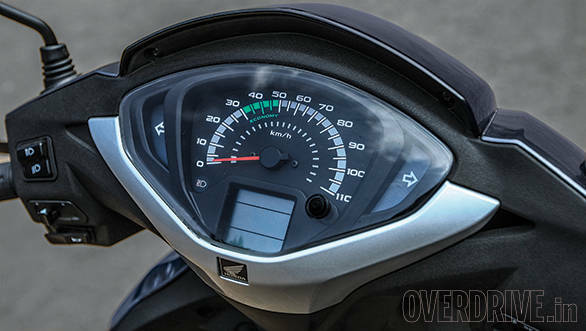 Mileage hasn't taken much of a beating with an overall figure of 57.9kmpl, just 0.6kmpl down from the smaller Activa.The Swish has a very smooth motor and is renowned for its punchy performance. Power figures are identical to the Activa while torque is down to the Honda by just 0.3Nm. The Swish is 0.8 seconds slower than the Activa to 60kmph but its smooth and unstressed performance means that it really doesn't matter. The Suzuki loses to the Honda in mileage terms as well but even here it's by a small margin of 1kmpl.The Vespa has the biggest numbers here but somehow the 10.1PS and 10.6Nm of torque doesn't translate to outright performance and it is the slowest to 60kmph taking 11.7 seconds. However acceleration from 20 to 50kmph is quite strong. Considering that that's the majority of performance demanded in traffic the Vespa feels quite peppy. It also produces quite a unique noise that goes nicely with its retro looks. Overall fuel efficiency stands at 54.9kmpl.Surprisingly, the Rodeo is the quickest scooter here despite having the least powerful engine. However, it's not our favorite powertrain thanks to a rough engine (at pace) and lurching throttle response. It's impressive that the Rodeo managed to outgun the Activa to 60kmph by 0.1 seconds considering that it makes just 8.2PS and 9Nm. 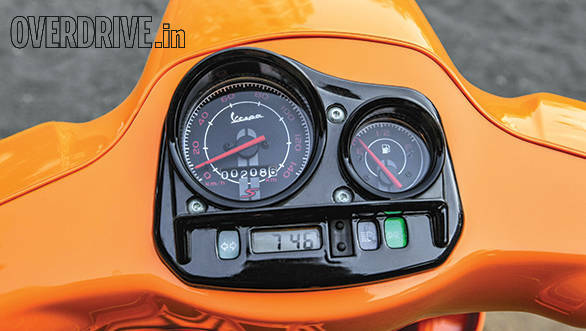 Equally surprising is that the Rodeo has the worst mileage  its 48.2kmpl is almost 10kmpl down on the Activa. Honda scooters do a lot of things very well but ride quality isn't a strong point. The light, plastic bodied Dio and Activa i have stiff suspension set-ups that transfer most of the choppiness from the road straight to the rider's spine. The heavier metal bodied Activa, while still retaining the stiff character does a much better job of damping out much of the harshness. With its new telescopic forks we were hoping the Activa 125 would further improve on this. However it seems to be at a similar level of stiffness with the ability to filter out some of the sharpness. The positive point is that the Activa 125 feels more agile. This is equally down to the suspension as it is to the light 110kg kerb weight. The Activa eagerly dips into corners and feels confident and stable when the roads aren't too bumpy. The best part however is its new front disc brake. The Activa has always had very good brakes, even on its old combi-brake twin drum set up. But the disc takes it to a new level, offering motorcycle levels of bite and feedback. 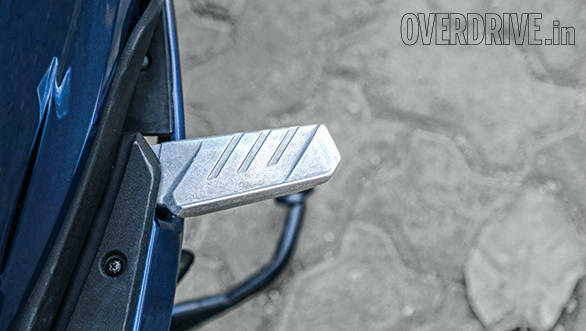 It is by far the best braking system we've come across on an Indian scooter till date. The Combi-brake system continues with the disc equipped Activa and it works well. We've always recognized the Vespa as having a very good chassis. Our two issues with the tyres and brakes were taken care of when the Vespa VX came out with grippier tyres and a much needed disc brake. The Vespa S carries both these forward. The brakes still feel a little wooden and aren't as good as the Activa's but they do a much better job of slowing the scooter down as compared to the old drums. 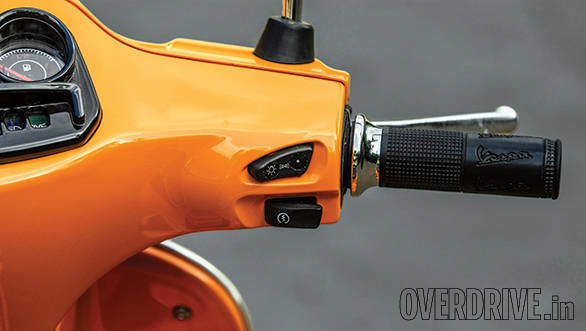 The Vespa's steering offers the most leverage which allows you to take tight and easy u-turns just like on the Activa. The Swish was our winner when we took a bunch of scooters to a go-kart track a couple of years back. That tells you all you need to know about its dynamics. The light body, quick steering and agile feel along with the peppy motor makes it fun to ride. However, the brakes weren't quite as good - front lever feels spongy and requires quite the pull while the rear brake can lock up easily. The Swish also runs less grippy tyres than the other three which means you have to be careful while braking hard. The Rodeo has always been a very soft and cushy scooter that's comfortable as long as the speeds are low. When you up the pace the Rodeo tends to bounce and bob quite a bit which gets tiring over distances. It also has a rather low set handlebar which can get uncomfortable if the rider is tall or if there's a pillion on board. The Rodeo is quick and scores in terms of features but loses out for its soft suspension, low mileage, build quality and durability. That brings us to the Vespa S. Yes it's achingly gorgeous, pleasantly enjoyable to ride and makes great sense to someone who's looking for the occasional relaxed ride. However, most scooter buyers look for utility and that's when the Vespa suddenly goes from a compelling impulse buy to a very expensive plaything. 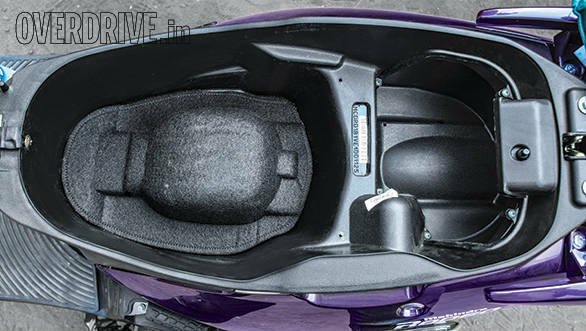 After all, the tall centre spine that runs through the Vespa's floor means you can't carry much stuff there. And the fact that it costs a huge `20,000 more than the Activa completely rules out any utilitarian value. All considered, the typical Vespa buyer will never consider any other scooter and the typical scooter buyer will never consider a Vespa. It's that simple. The Suzuki Swish has been our scooter of choice this far but it's beginning to show its age now despite the small refresh and feels outclassed by the Activa. It's slower, less efficient and just doesn't feel as premium. That the Activa is the best scooter here is without question. But it comes at a big premium over the Suzuki  Rs11,500 is not small money. 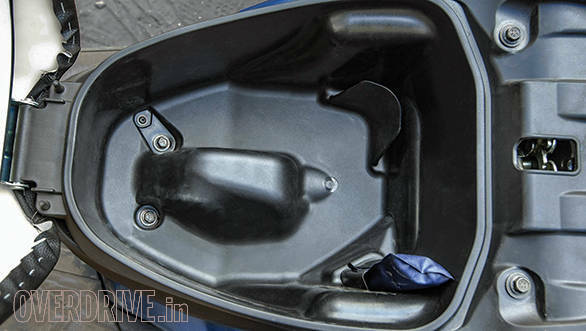 A more compelling option is to get the drum brake equipped Activa that costs only Rs 5,000 more than the Swish. The Honda combi-brake system is excellent on its own but we'd advice that you make the extra push and go for the top DLX variant  nothing compares to the protective power of a disc brake when you're in a hairy situation. Besides which Honda scooters, particularly the Activa, command such high resale value that you should be able to completely make up the difference when you sell the scooter in a few years. Now that's a win-win.